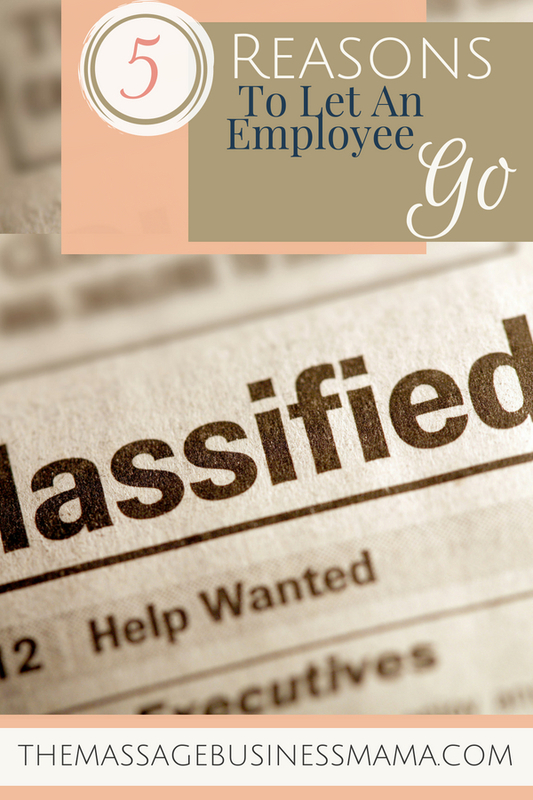 In this Post: Letting an employee go is never an easy thing. But sometimes it is a necessary evil, here you will learn 5 reasons it MIGHT be time to let an employee go. In a conversation with one of my therapists the other day, she made the bold statement, “You know we don’t really have room here for people who ‘don’t get it’…We have a really good thing going, and it should be reflected in the people working here.” She jolted me, awakened me, and reminded me that it is important who we allow to represent our business. I think so often as an employer I give people the benefit of the doubt. I figure that they will “get it” eventually. Or that maybe, my expectations are too high. I want to believe that all of my efforts at training and retraining are not in vain. But the simple statement my therapist made caused me to look at things from an employee’s perspective. Not only does having a bad apple affect me and my business, it also affects the livelihood of those working for me. With this broadened perspective I felt a heaviness, a responsibility to do better for my team. I’ve had a few “bad hires” over the years, some that didn’t fit in, some who couldn’t figure out the technology, and some who probably shouldn’t be in the massage industry. Some of these people it has been easy to say goodbye to. They did or said something really stupid, and that was that sayonara. Some of them moved on on their own accord. While others I kept on for way too long. I think often I have kept people on due to fear, fear of not having enough people, fear of having to train yet another person, fear of the unknown. What I have come now to realize is that I am not doing people any favors keeping them on in an organization where they cannot thrive. And I promise you I am all about thriving! I also realized that it is my responsibility as the owner of my business to create the strongest, most capable team I can for all of the teammates involved. I’ve often said that having one bad person in an organization is like having cancer, it spreads. And the last thing you want is your star employee, or you for that matter, to feel bitter and bad about coming to work. They don’t really seem to care if they get it right. In spite of the fact that you keep explaining protocols and procedures, they just really don’t seem to give a rip. They get complaints. Um, can you say bad for business! They don’t respect you or their teammates. You have to explain the same thing over and over and they still don’t make the necessary adjustments. So maybe they really DO care, but unfortunately, they just cannot seem to master your booking software. I have been known to cut a lot of grace here. But once it starts affecting your team’s morale, it may be time to cut the cord. They gossip and complain. Again, like cancer, it spreads. In the end, you made a mistake in your hiring. Biggest thing, learn from your mistake. Be a bit more selective the next time. Interview a few more candidates next time, ask a few more questions, check on a few more references. And remember that you do have a responsibility to your team to keep the machine well oiled so that it can function at maximum capacity. Once you have made the decision that someone doesn’t work well in your organization, don’t belabor the point, get rid of them. Just hire better the next time. 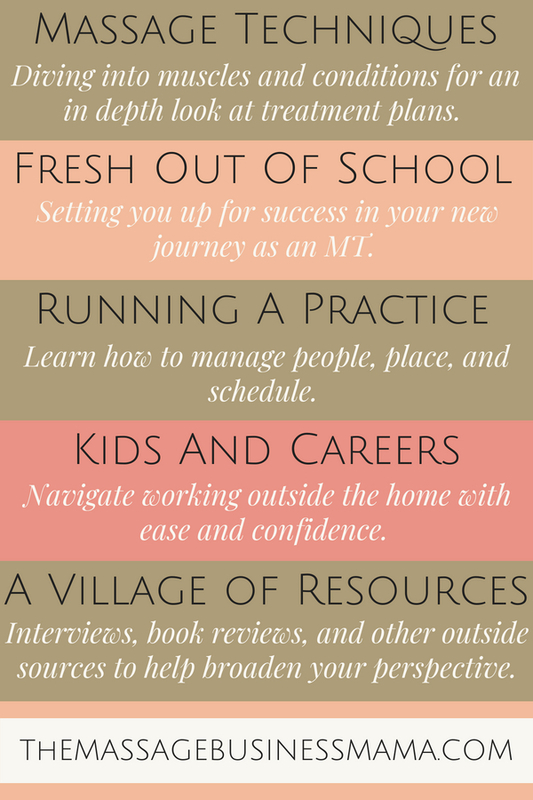 Check out Methods For Finding Massage Therapists To Hire to help you in your replacement process.